Stemmer Imaging has designed a GenICam Transport Layer (GenTL) to make the Intel 400 Series of RealSense stereo cameras and depth modules GenICam compliant. 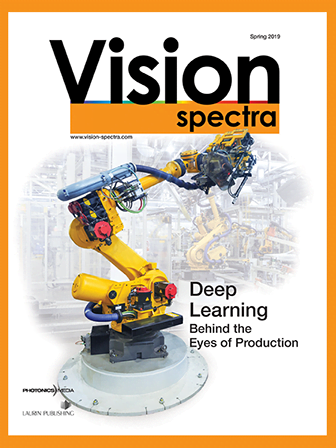 The innovation enhances the use of RealSense imaging technology in machine vision systems. Intel RealSense technology provides high-speed stereoscopic vision in an embedded package with a large depth of field for 3D imaging. Its performance opens up the use of 3D imaging to high-volume embedded applications. The addition of the transport layer for GenICam compliance allows integration of the capabilities offered by RealSense technology into industrial vision systems and other machine vision software. It is currently available for Intel PC platforms and can be purchased for use with analysis tools capable of grabbing images via GenTL, such as MVTec Halcon. When you click "Send Request", we will send the contact details you supply to Stemmer Imaging so they may respond to your inquiry directly.